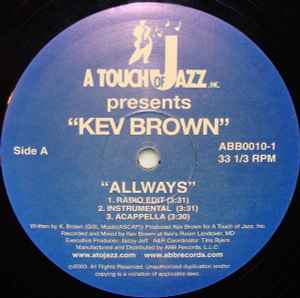 Produced For – A Touch Of Jazz Inc.
My favorite Kev Brown track. As usual, he lays down his fantastic fuzzy warm production vibe with his snappy drums but the lyrical content really shines on this one... This cut should hit home to most every guy out there. Period.